Have you always dreamed of a gorgeous, authentic limewashed house? A charming Old World feel, but with a freshly painted look. With Romabio Classico Limewash you can update your home while still keeping the warmth of the brick. The best part is, it’s removable so there’s no stress when deciding the color or look that you want. Prep by cleaning the brick or stone and cover any areas that will not be painted. Dampen the surface with water allowing Classico Limewash to slowly absorb without drying too quickly. The wall should be wet, but not dripping. 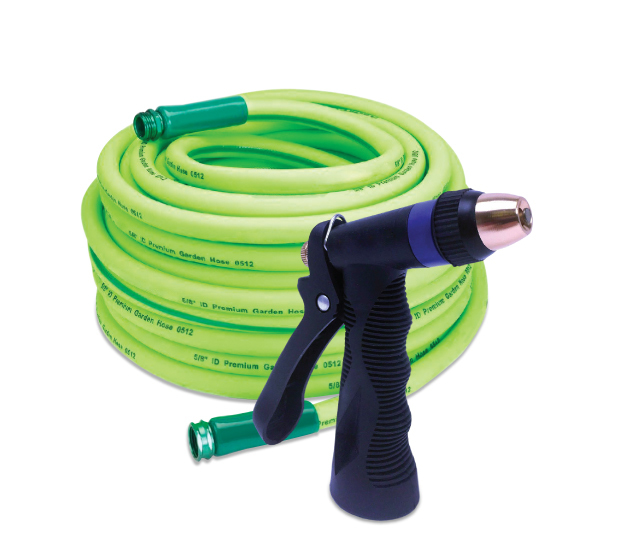 Exterior: Use a typical garden hose spray nozzle or a pressure washer. If it is hot and in direct sunlight, keep the wall damp. Work one wall at a time to keep damp as necessary. Prior to application, you must dilute Classico Limewash with water between 50% – 100%. One coat is needed to create an antique limewash effect. As the paint begins to dry it may look semi-transparent and darker than you expected. 4. Wash off and distress. This is the fun part…..wash off as much or as little of Classico Limewash as you want. And remember, because it’s removable there’s no stress! Play with it to get the look you want and touch up at anytime because it is a flat finish. Exterior: Use a spray burst or a continuous water flow and it will simply wash off onto the ground. Interior: Use a spray water bottle and rags. Use towels or a plastic on the floor so it will not get wet. Helpful Tip: If your house is a one-story brick ranch or you have an interior fireplace, then it’s perfect for DIY. If you have 2 or 3 stories, then a PRO might be better. Fill out this form and we can get you in contact with one in your area. Buy Classico Limewash online at homedepot.com in 7 pre-tinted colors. Watch the How-to Exterior video or How-to fireplace video to learn more. And because it’s organic, authentic lime it won’t harm your lawn, plants or trees. 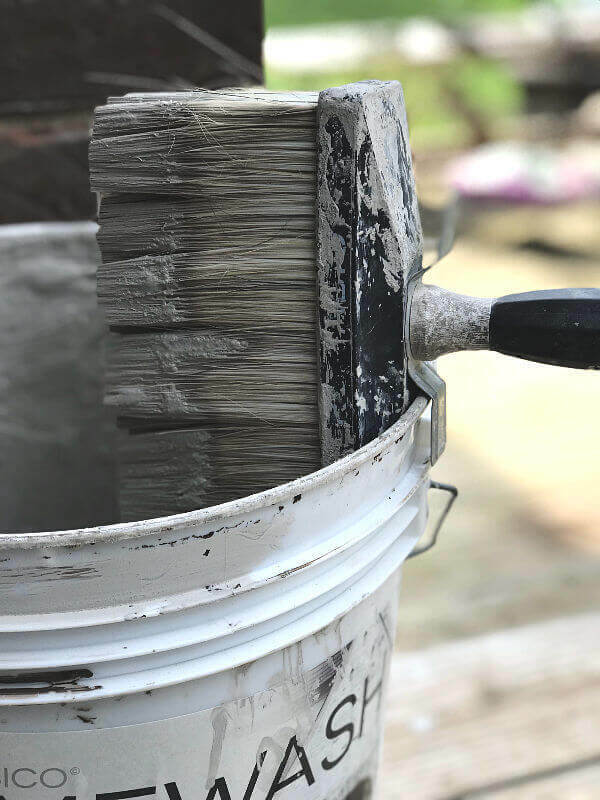 Classico Limewash is nontoxic and will not hurt your yard. As you are washing it off, you can simply let it soak into the ground. If you get any paint on your windows, sills or other areas, use a rag or clean paint brush and clean water to wipe it off. 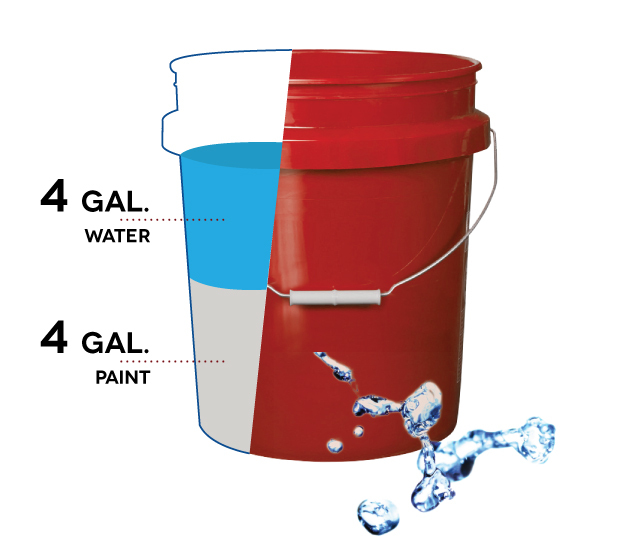 For more stubborn paint residuals, use white vinegar and a rag then rinse off with clean water. It continues to patina giving you the Old World European look. It’s made to last and patinas very slowly over time depending on the exposure to weather. This ancient process that we have carefully formulated with modern technology gives you a low maintenance, beautiful finish that will not fade, peel or flake off. Looking for something different than limewash? We also offer a permanent, solid finish called BioDomus Masonry Paint, available at a local retailer near you.